Victor Vaillancourt (PAPPY), of Ruther Glen, Virginia, 61 years of age was born in Quantico, Virginia on Saturday, August 25, 1956; he departed this life in the early morning hours of December 15, 2017. He was preceded in death by his father, Phillip R. Vaillancourt, mother, Naomi R. Vaillancourt, and two brothers, Phillip Vaillancourt and Herbert Vaillancourt. He is survived by three sons, Damon Dodge and wife Christy of Shawnee, KS, Shane Martel of Ardmore, OK; Brent Vaillancourt and wife April of Lenexa, KS and one daughter, Sandy Greenwell of Ponca City, OK; 10 grandkids, Andrew and Abby Dodge, Drake, Jorja and Peyton Martel, Lane, Alyssa and Zak Vaillancourt and Madison and Ryleigh Greenwell, one brother Glen Vaillancourt and one sister Toni M. James and several nieces and nephews. 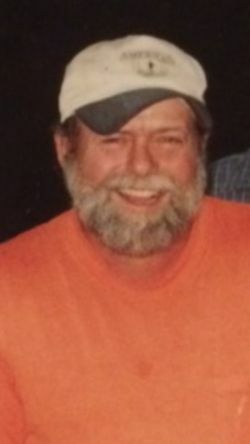 He lived in Virginia and was a construction worker by trade, until he moved to Ponca City, OK in 2012 to spend time with his kids and grandkids, during that time he was employed at Pine St. Tires.